The main idea behind any flourishing trade or business is to being in better revenue. Revenue expansion comes with popularity, sales growth with reduced or unchanged overhead costs. Investing in search engine optimization somehow incorporates all these into a single factor and might take your part-time hobby to unforeseen heights of a successful trade. It is not a traditional form of media strategy, hence requires a well educated client as well as seller to be turned into an effective weapon of gaining mass attention. However if you still feel not content on investing on SEO, here are a 5 solid reasons that might get you started for your own success story. 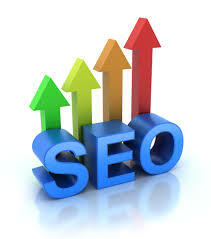 SEO gives you the much-needed popularity in competing online spaces. For any company to be in size, it’s very essential that your targeted customers get to know of you and talk about you in their respective circles. An SEO actually fulfills this duty. They club together relevant keywords, gets a better page ranking on search engines and direct online traffic to your site. It has been noted that in recent studies that almost 60% of internet users resort to search engines to look up for information on products or services they wish to have. So getting there, Numero Uno attention in the search engines will be the maximum boost to both the ego and sales figures of your product or service offered. SEO gives you long time benefits that bear fruit even when you stop harnessing its service. With keywords directing relevant traffic to your site, your SEO strategies will yield an advantageous standpoint for the present period no doubt. Furthermore, the flow of traffic continues through those keywords even after you have stopped paying money for the SEO services. It’s more like an investment you make with long term benefits that trickle down for much longer period. Even if you feel SEO has not much of a relevance to your particular business, given your popularity in the neighborhood, friends or fans, think again. Your competitor, who might be today unknown to your neighborhood might be harnessing the benefits of it and might get your entire traffic directed towards him by winning a better page ranking than you. This competitive edge to our business is like a tool that will keep you safely in the eye of all your prospective consumers and maybe even reach beyond, no matter which side the wind blows tomorrow. This reason alone should get you thinking about the prospects of SEO than without it in this emerging era of global marketing concepts. In recent case studies it has been seen that from college education to buying a bed-side lamp, from holiday destinations to calling on the laundry, etc., most people like to make an internet survey before finalizing the product/service. The prospective buyers or consumers for any particular service or product place higher value of opinion on the rankings of the sites as seen on pages of popular search engines. It has been seen by market experts that search generated leads always turn to real sales leads and are effectively the highest quality leads in online marketing in case of almost all online e-commerce sites. Compared to a whole lot of other marketing tools, SEO is cheap or almost free. With all the free tools for SEO available online, this is one of the strategic tool for enhancing sale or visibility among targeted crowds. You can either hire an SEO expert, or even try to incorporate the content and keywords in your web pages that will effectively guide the online traffic towards your site and generate real leads. The only drawback for employing search engine optimization tactics ist hat it has a ratehr slow return and requires time to generate in-bound leads. But still investing on SEO doubtlessly comes with a high-value return for tomorrow. Investing some of your business resources on search engine optimization today will yield you a better and wider client list that will send your cash registers jingling for a long time. 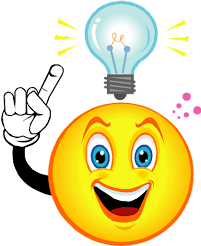 The long drawn and well researched keywords found effective, the generated links or the sensible content once created will generate visitors or prospective consumers for years to come and will not stop in a jiffy once you decide to stop funding on the SEO. It’s an investment for life till your web pages exists.